We are proud to announce a new Endowment Fund to support students and staff participating in Indigenous issues. The Elder Jerry Wood Educational Memorial Fund was established by the Foundation through the vision and generosity of benefactors Cynthia and Lawrence Olsen, and his wife, Gisele Wood. This endowed Fund will be used to provide grants or subsidies to students and staff of ECS wanting toattend an Event or register into a workshop or program that focusses on providing education on Indigenous issues; indigenous and/or cross cultural opportunities; Elder support; Indigenous resources; Indigenous Artist in Residence programs; and any other ECS Indigenous educational initiative deemed worthy of support by the Board of the Edmonton Catholic Schools Foundation. 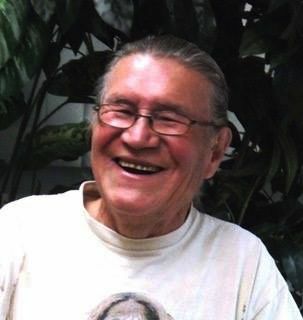 Elder Jerry Wood was a beloved aboriginal spiritual leader, mentor, teacher and friend to the students, staff, and community supporters of Edmonton Catholic Schools (ECS). Jerry was a compassionate and gentle man. His spiritual wisdom as an Elder surrounded all his teachings. He believed that youth and their appropriate education—intellectually, culturally, spiritually and physically—would “set them free.” He recognized the many barriers and challenges that many of our students face. He was a kind, gentle and loving man for which the youth greatly loved him and were able to truly open up about anything. He always treated them with great kindness and respect, showing them that they mattered. He will be truly missed.